The last day of the 4th Islamic Solidarity Games has kicked off. Azerbaijan's national football team defeated Oman squad 2-1 in the final of the Baku 2017 Islamic Solidarity Games. 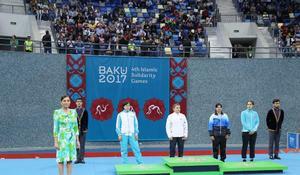 Azerbaijan’s First Vice-President, Chair of the Baku 2017 Islamic Solidarity Games Organizing Committee Mehriban Aliyeva and her family members watched the finals of freestyle wrestling competitions held at the 4th Islamic Solidarity Games in Baku May 21. The diving competitions are underway as part of the 4th Islamic Solidarity Games in Baku May 19. 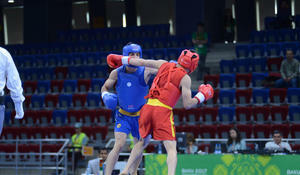 Boxing events at the 4th Islamic Solidarity Games in Baku have ended. 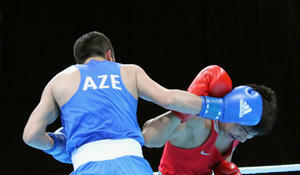 Azerbaijan’s national team was the best in the seven days of boxing competitions, said the Azerbaijan Boxing Federation. 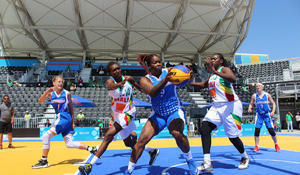 Basketball 3x3 competitions of the 4th Islamic Solidarity Games are underway in Baku May 19. Table tennis competitions continue in Baku as part of the 4th Islamic Solidarity Games. Azerbaijani wrestler Mahir Amiraslanov (57 kg) has advanced to the finals in men’s freestyle competitions at the 4th Islamic Solidarity Games in Baku. Azerbaijani athlete Magomed Muslimov has advanced to the men's 65 kg freestyle wrestling finals at the 4th Islamic Solidarity Games in Baku. 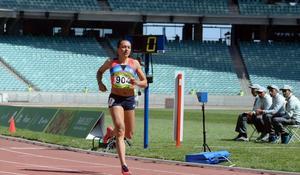 Azerbaijani Paralympic athlete Elena Chebanu has progressed to the final of the 4th Islamic Solidarity Games in Baku.